Perhaps you’ve used collagen supplements or taken a form of gelatin to help improve the health of your hair, skin or nails. But do you know there are different collagen types and which types are better taken together or apart from each other? Did you know that aside from water, collagen is the most plentiful substance in our bodies and is a building block for skin, tendons, and bones? 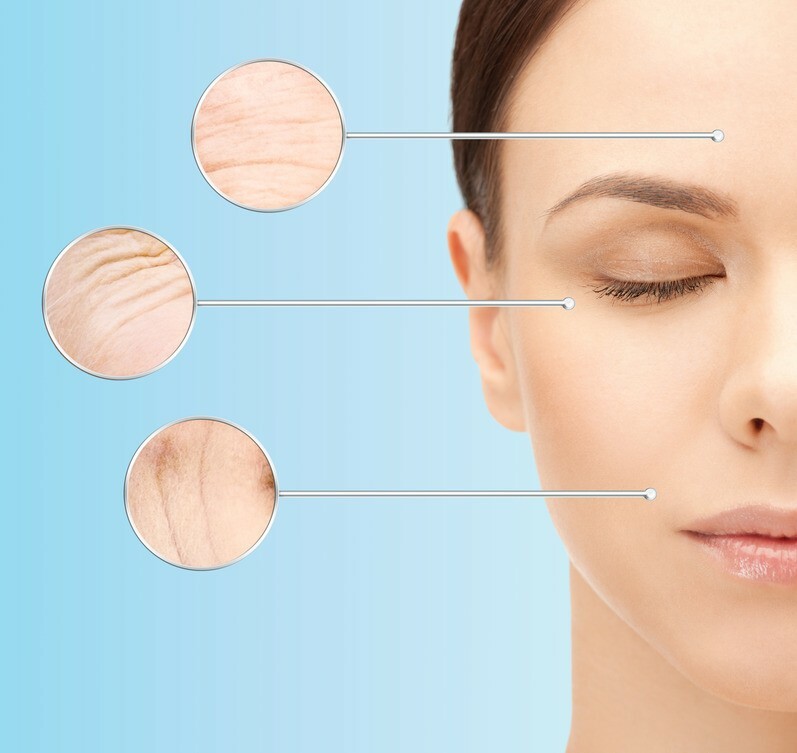 Collagen types contain different proteins which serve separate purposes within the body. Types 1 & 3 can be taken together and may support skin, muscles, bone health, and hair and nail growth and maintenance*. Collagen Type 2 protein makes up the fluids and function in the cartilage and joints. 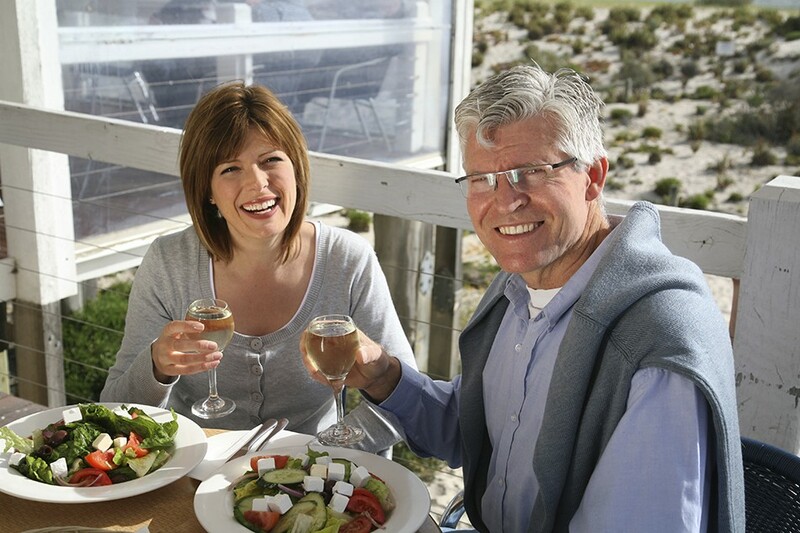 Type 2 collagen supplements should be taken separately from Types 1 & 3 to ensure adequate absorption*. There are 19 amino acids (proteins) found in Collagen Types 1 & 3 – each essential to functions and maintenance within skin, muscles, and bones. 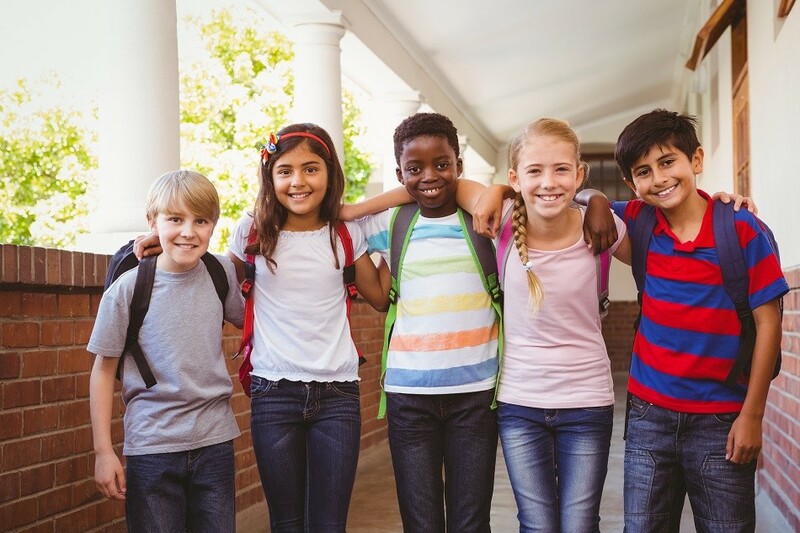 These types are produced by fibroblasts (cells in connective tissues) and osteoblasts (cells that make bones). Over 90 percent of collagen in the body is comprised of Type 1 & 3 Collagen. Proteins in these types include glycine, proline, alanine, and hydroxyproline. Glycine – the amino acid found at the highest levels in collagen, requires more serine than our bodies can naturally produce. 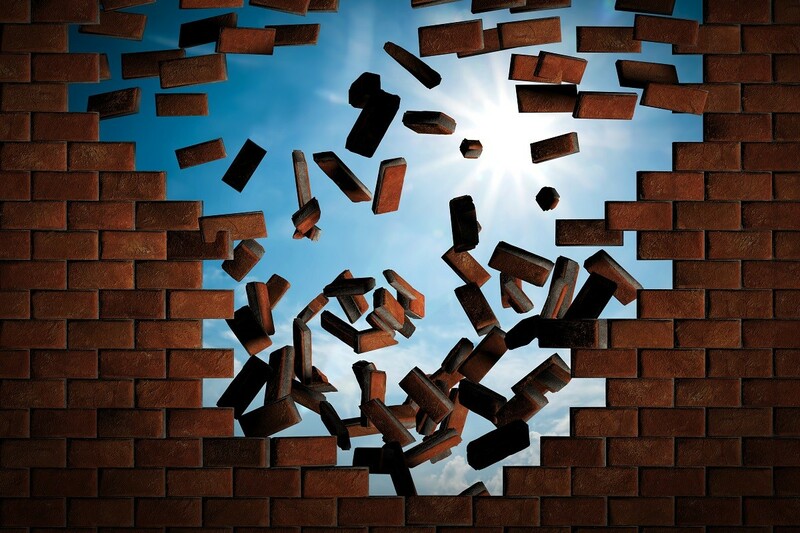 Studies suggest the need for glycine supplementation to achieve ideal metabolic processes 1. Collagen Type 2 is produced by chondrocytes (the non-cellular matrix of cartilage) – a liquid-like filling within the cartilage. Over time, the ideal levels of collagen our bodies naturally produce begin to wane. Collagen fibers break down or no longer regenerate, and lead to a “deflation” effect on the surface of the skin. The diminishing effects of reduced collagen Type 2 are less obvious and often go unnoticed or are considered “normal” for the aging process. Despite being made up of non-essential amino acids, the supply of ideal levels of naturally occurring collagen cannot meet the demand. Though it is possible to obtain extra collagen through diet (consuming animal products such as gelatinous meats, the cartilage on bones such as chicken drumsticks, and skin from poultry 5), some may find it unappealing or difficult to eat enough to support their body’s requirements. Suggested use to take with juice or Vitamin C supplement in the morning. Take separately from Type 2 Collagen. Suggested use to take at bedtime on an empty stomach. To improve effectiveness, do not take in conjunction with Type 1 & 3. Finding a high-quality collagen supplement in the type you need and formulated for easy absorption is easy once you know what to look for. 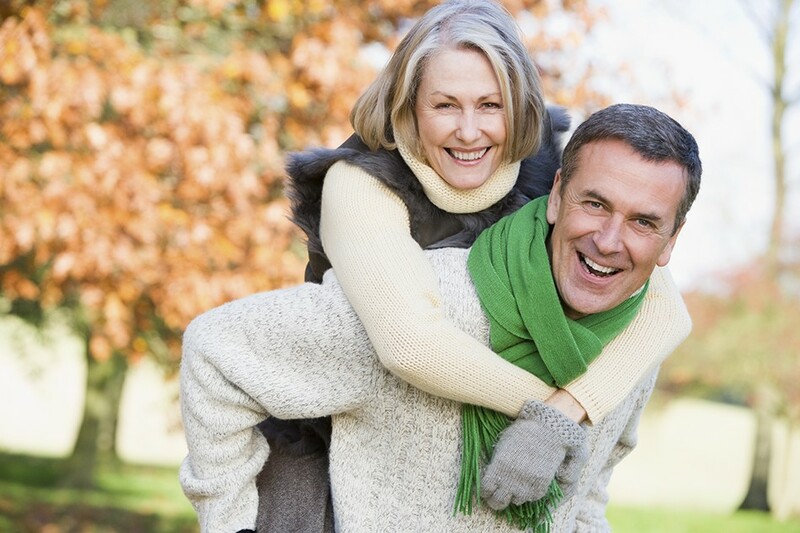 Collagen supplements are appropriate and beneficial for adults of all ages. Hydrolyzed collagen supplements are available in the form of tablets, capsules, powder, or even tasty chewables! We are proud to introduce our new line of premium collagen-based products from NeoCell – the largest collagen company in the world. All of their collagen products are derived from pharmaceutical grade bovine collagen from grass fed, free range cows that are hormone and antibiotic free. Free from gluten, wheat, soy, lactose, starch, corn, yeast and artificial flavors. Super Collagen Powder contains Super Collagen Types 1 & 3, which make up 90% of the body’s collagen supply. May support skin, hair, nail, ligament, tendon, bone, and muscle health. Add powder to water or juice and blend. Super Collagen + C with Super Collagen Types 1 & 3, which make up 90% of the body’s collagen supply. Includes Vitamin C as an essential component to collagen absorption. May support the health of skin, hair, nails, ligaments, tendons, bones, and muscles. Collagen Type 2 Joint Complex contains natural chicken collagen Type 2 protein with hyaluronic acid, glucosamine, and chondroitin. Take with orange juice or Vitamin C drink on an empty stomach. May support cartilage health and function. Beauty Infusion Tangerine helps you get your collagen in a refreshing and delicious drink for radiant beauty from the inside out. 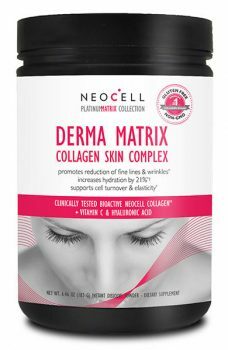 Enfused with essential nutrients including 6,000 mg of NeoCell Collagen Types 1 & 3, 50 mg of hyaluronic acid, 3,000 mcg of biotin, and alpha lipoic acid and Vitamin C.
Derma Matrix Collagen Skin Complex features 6,000mg of BioActive NeoCell Collagen™ in a powder combining Collagen Types 1 & 3, Vitamin C, and Hyaluronic Acid in a technologically advanced combination created to nourish and hydrate skin. Instantly dissolves in water. 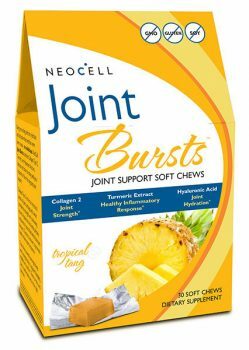 Beauty Bursts Soft Chews are an easy and delicious way to get Collagen Types 1 & 3 combined with hyaluronic acid for hydration and Vitamin C for absorption and antioxidant benefits. * Free of gluten, wheat, dairy, soy and yeast and only 4g of sugar per serving. I have both osteo and rheumatoid arthritis (after life-long healthy diet, exercise, and supplements🙄), so I’m on plaquenil, mobic, and prednisone. Can I take the collegan 1, 2, &3 with those? I haven’t run into anything contraindicated, and my dr knows little about supplements and interactions. I forgot to add that my normal sugar level is between 79-80, and I’m sensitive to a lowering of that. I keep it controlled by no refined carbs, which kicks me up a bit, then I can feel hypoglycemia. I’m 68, and know my body well. We are unable to advise on or recommend any product for specific health conditions. We provide general information about health and wellness topics and related supplements for educational purposes only. Using supplements in conjunction with any specific condition or disease will need to be discussed between you and your health provider. Feel free to share the information here with your doctor to help him/her understand your goals or concerns in taking Collagen supplements alongside your medications. Please see our response in your second comment. Thank you. Question: Is it better to put the collagen powder (type 1 & 3) in black coffee? I have been putting it in my Morning coffee that has some milk? There’s a slight chance you won’t get the full benefit of the collagen due to the protein in milk, but it’s just a matter of if you are experiencing results or not. Many people add collagen to their coffee and still feel they benefit. Hi, is it okay to add collagen powder to hot drinks/coffee? Yes, adding collagen to hot drinks should be fine. Thanks for the question! I am currently taking Glucosamine Chondroitin pills. Is it safe to take Collagen 2 in addition, or is one ok without the other? Thanks for your question, but due to variations in ingredients and individual health situations, we cannot advise you on this. It’s best to discuss your supplement choices and combinations with your health provider. We only provide general information for educational purposes. Thank you. Hi, I wanted to know what the ingredients is? I need to know if it is halal? What type of gelatine is used if any? Hi, for ingredients, please select the product by either clicking on the product image or name. This will take you to our product page on our website, where you can click on the Supplement Facts tab to view ingredient information as provided by the manufacturer. Thank you! Hi, can I take Collagen II with apple cider vinegar and lemon juice? Hi David. Since the manufacturer recommends taking with Vitamin C on an empty stomach, that should be fine. Thanks. Also what is the difference between collagen powder and tablets? For the same product tablets seem to be significantly cheaper so are they not as effective? You actually get 30 servings with the powder and 20 servings with the tablets, so per serving, the powder is less expensive. Powder is ideal to use if you are already getting Vitamin C from another source, or if you prefer to add it to a smoothie or beverage instead of taking capsules. It’s really just your preference. The quality and type of collagen used in the powder and tablets for Collagen Type 1&3 is the same. I want some collagen for me and my dog to help with my joints and arthritis in my dog so should I just be taking a collagen type 2 supplement? Or should I be taking type 1 and 2? 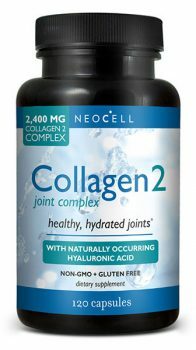 Collagen Type 2 supports joint health, though we cannot suggest its use for specific medical conditions. Results may vary per individual and for animals. We suggest you consult your veterinarian regarding the best dosage and form of collagen for your dog. Thanks for the question! We do not have information about the exact amount of Vitamin C needed for collagen absorption. However, NeoCell’s Super Collagen + Vitamin C contains 60mg of Vitamin C, which is 100% of daily recommended amount, so you can start from there. Hi. We only suggest use/dosage based on the information the manufacturer provides to us. If you feel like 6 tablets may be too much, try starting with a smaller dose. Since collagen is a protein, your body will simply eliminate what it doesn’t need. By taking it on an empty stomach, it will support your body’s natural collagen production as stated in the article. If you have further questions about dosing, please contact NeoCell directly. Thanks! Hi, none of the literature NeoCell provided us about their products indicates that the collagen they use is kosher. However, you may want to contact them directly at http://www.neocell.com to confirm. Thanks for your inquiry! I took the Neocell for two months and developEd what looked like a yeast infection. Are there any reports of this being common? What is the best collagen to take while avoiding side effects? We suggest you contact the manufacturer or speak with your doctor on this matter. We can’t advise on specific health conditions. We simply share general information about the products to help you understand how they can help you in your health and wellness goals. You can take them together if you like. Alternatively, Beauty Infusion drink mix and Beauty Matrix both contain Collagen 1&3, Vitamin C, and Hyaluronic Acid in one product. It depends on your personal preference and the amounts of each ingredient you feel you need to achieve your desired results. Have a nice day! Would it be OK to take collagen 2 at night as We have supper quite late at night 8-9pm? Yes, that’s fine. It’s actually suggested to take Collagen Type 2 at bedtime and on an empty stomach. 8 or 9pm isn’t too late. Thanks. Can I find type 2 in powder form? Looks like just capsules? We only have capsules available at this time. You could try emptying the powder from the capsules into the juice instead of taking them with juice, but it might not taste so great. Since it’s suggested to take on an empty stomach, there aren’t a lot of ways to take Collagen 2 as a powder. Hello. Is it a good idea to take neocell hyalauronic acid capsules with collagen and vitamin C? I have also read magnesium helps hyalauronic acid absorb better. What do you recommend? Actually, Beauty Infusion drink mix and Derma Matrix both offer the combination of Collagen 1&3, Hyaluronic Acid and Vitamin C. As far as magnesium helping with hyaluronic acid absorption, we’d have to look into that. Magnesium helps with thousands of body processes, so it’s possible! I take callagentype 1&3 in the morning than type 2 in the evening. Can i still take msm.. Taking MSM in addition to collagen is fine. Actually, some of our Collagen Type 2 products include MSM as an ingredient, so if you take additional MSM, take it along with Type 2. I understand taking the type 1 & 3 separate from 2…..but what about the bursts and the fusion drinks? How do they come into play? Hi…the main thing you want is to avoid taking collagen with other types of protein in order to allow your body to use the collagen protein to its fullest potential. Whether you are taking the bursts, drinks, powder, or capsules, you’d apply the same rule. Type 1 & 3 separate from Type 2. The bursts and chews are nice to have on hand in case you can’t take the drink or are on the go. Take the forms and types that work for you, and be sure to take it every day for ideal results. I work out and afterwards take a Whey Protein supplement for muscle recovery. If I take Collagen 1 & 3 and also 2, is that too much protein for my body? if so, will the collagen 1 & 3 and 2 suffice for muscle recovery after a workout? Thanks for your question, but we cannot advise on your specific protein needs. Please consult a dietitian, personal trainer, or health practitioner. This blog is for informational purposes only and not to provide individual health recommendations or conclusions. Sorry we can’t be of more help! Have a nice day. So let’s not answer April’s specific protein needs, but a more generic question like, if I’m taking collagen 1 & 3, how long should I wait to take collagen 2 and if I want to also take whey protein, where would it fit in with taking the others? Is there a preferred order and timing? Does the amount of collagen 1, 2 and 3 dictate the time between taking them? If yes, would that apply to the whey protein too? Thank you. As specified in the article, it’s suggested to take Collagen 1&3 in the morning with orange juice, unless you’re taking a Collagen 1&3 plus Vitamin C supplement, and Collagen 2 in the evening and on an empty stomach. This is to allow the body to process the different collagen proteins most effectively. If you take whey protein as well, a couple of hours between each kind of protein (or collagen) should suffice. Exact timing and amounts will vary with each person. There is no harm in taking them too close together, just a chance you won’t get the most out of each kind. Thanks for the question! I understand now to take 1/3 and 2 together, but will we still get max benefits if taking both each day, but at separate times? For example, leaving type 2 for before bed, and the 1/3 combo during the day? I have 2 goals 1) Help with my osteoarthritis (hence type 2) but also hair/skin/nails etc (type 1/3). Thank you! It’s actually important to take Collagen Type 1&3 separately from Collagen Type 2, so that your body uses the different proteins in the right areas. Taking them together may minimize benefits, which is why the article suggests taking one in the morning and one in the evening. It’s also important to take without other forms of proteins for the same reasons. This way your body doesn’t have too many different proteins to process at once. Do any of your products help with weight loss? I was reading up on a product biocell Collagen matrix and is said to help curve the appetite. We didn’t come across anything in our research about collagen that indicated supporting weight management goals. For specific product questions, we suggest you contact the manufacturer directly. Thanks for your inquiry. Hello what does the astericks mean after all the health benefit assertions ? I just bought a bottle containing 180 caplets of Hydrolysed Collagen 1000mg from Holland and Barrett. However I am unsure about which type group it could be part of. I trying to cure my eczema and thought the collagen could help but now I am not sure to have bought the right product. Do you mind providing me your thought please? 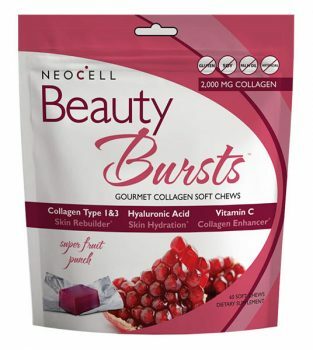 First off, we are a retailer of NeoCell Collagen products only, so you would have to contact Holland and Barrett for details on which types of collagen is in their product. Second, we are only a retailer and do not advise on treatments, cure, or prevention of any disease or medical condition. This article is for informative purposes only and describes how different types of collagen may help to replenish natural collagen levels in different areas of the body. We appreciate your comment, but advise that you discuss the use of collagen for specific medical conditions with your health practitioner. Have a great day! Hi! Can you tell about side effects of taking collagen supplements? Beginning June, 2016, after having total hip replacements done in October 2015 & March 2016, I started taking 40 mgs Type 2 denatured collagen from chicken cartilage w/ 5 mgs boron & 3.3 mgs of hyloronic acid [in one pill] once a day. I wish i had started earlier. I’m doing strenuous hiking again, cycling, etc. The stuff works! I bought a supplement that has all 3 types together not knowing that i should be taking 1&3 separetly from 2 , would it harm me to finish the note that i already purchased and then buy them separetly ? Or is that a bad idea ?? Taking all 3 types of collagen at once should not cause harm. You just might not experience the maximum benefits due to your body using the proteins differently. By taking them separate, you allow your body to utilize each type of collagen to its maximum potential. We would love to hear back from you if you notice any difference after using them separately. is it necessary to take both the product Type1&3 and Type 2 supercollagen, as my son send me the product type 1&3 only and i started taking the powder early morming mix with 8 oz. of mineral water. If i am not taking type 2, what is the effect. The types of collagen you take depend on your individual preferences and health goals. It is not necessary to take both Type 1&3 with Type 2. Types 1&3 support hair, skin, nails, and bones while Type 2 specifically supports cartilage and joint fluidity and function. What and where is the collagen sourced from for these products? According to the NeoCell website, their collagen is ethically sourced, hormone and antibiotic-free and comes from grass-fed and free range cows. All their products are processed under strict quality control and are non-GMO, and free of gluten, soy, wheat, and artificial ingredients. For more details, please watch the videos included on each NeoCell Collagen product page on our website. Simply click on the product image or name links above. Thanks! Thank you- I definitely will! Also, how long has Neocell been making the Beauty Infusion? For further information about NeoCell products specifically, please see their website at http://www.NeoCell.com. We are not the manufacturer, only a retail distributor sharing general information about the benefits of Collagen. Thank you! Do you have country of origin information for NeoCell collagen products? That is all the information we have. Perhaps try to contact them via their Facebook page, as it seems they are in the middle of a website upgrade. Try @NeoCellCollagen or click on their social media link on their website. I had 2 microdiscectomy surgeries in the past 4 months on L4-L5. Which type of collagen would be best to repair/heal what is left of my disc? Hi Paul. 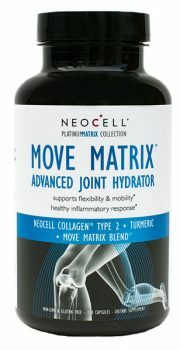 As specified in the article, Collagen Type 2 supports Joint and Cartilage health. Types 1 & 3 work together and may support bones as well as improve circulation. Taking both as suggested (Type 1 & 3 in the morning with Vitamin C, and Type 2 at bedtime on an empty stomach) would provides the most overall benefits. However, as we are not medical professionals, we cannot assess or make recommendations on specific medical conditions. 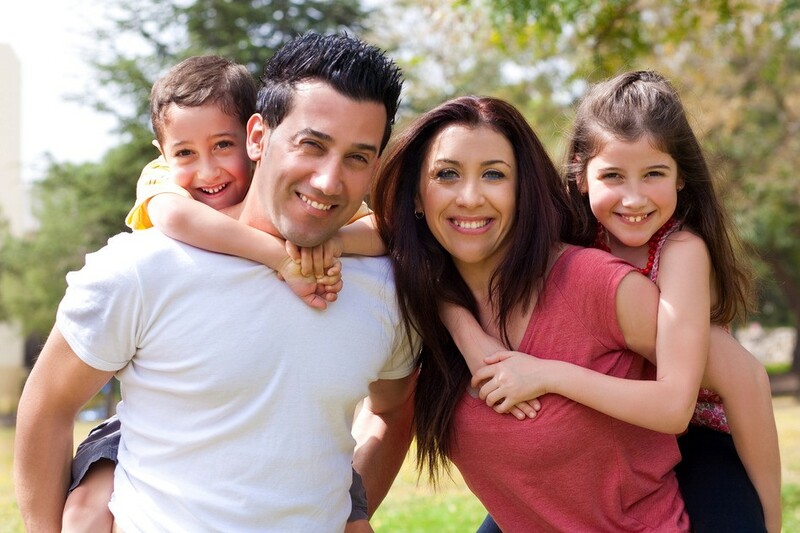 As always, discuss the information we’ve provided with your doctor for specific guidance. Thank you! Have been taking Neocell collagen 1&3 in the morning and collagen II at night. I have fine or what the salons call “skinny” hair. I can honestly say, I feel a difference in my hair texture, and I do believe I see new baby hair starting to sprout lol. I will continue to take it. Hoping to see skin improvements as well. I have noticed the same thing with my hair. You say to take type 1&3 collagen separate from type2, so I could take type 1&3 in the morning and type 2 in the evening? Yes, that’s fine to take them both on the same day but at different times. It is suggested that you take Collagen 1&3 in the morning, and Collagen 2 in the evening. 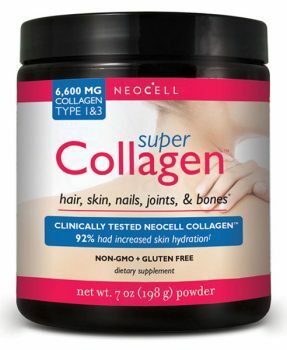 Hi where in pharmacy in Vancouver i can purchase Neocell Super Collagen C? I need a type 1 and 3 collagen supplements. How long i need to take it to see a good results? Please let me know. Thanks much! 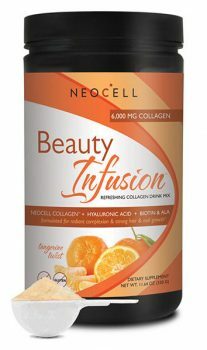 Maria, we can ship NeoCell to you through our online store at https://www.energeticnutrition.com/neocell/super-collagen-c.html Otherwise, please contact NeoCell directly at http://www.neocell.com/ to see if their products are available where you live. Each individual is different, so we are unable to provide specifics on when you will see results. In general, however, if taken as directed, you should notice a difference within a few weeks. Thanks for your inquiry! 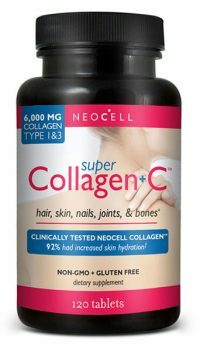 I have been taking Super Collagen 1 & 3 (Neocell 6600 mg) for about 6 months. My hair was falling out and I never could maintain good nails. This product has been wonderful for me. I also take Collagen 2 and have just read that it should be taken separately from 1 & 3. Will do so from now on. There are 6 more people that are taking the product because I couldn’t sing the praises any louder. Also, I am 79 years old and feel great. Thank you Neocell for your fine products! I will start soon to take collagen 1& 3. I would also need to take Collagen 2, and I have also read the same thing that it should be taken separately from 1 &3. What it is not clear to me is what exactly they mean by separately, does it mean we have to alternate the treatments? A period with 1 &3 and another period with just Collagen 2 ? Thanks for your question. We apologize for any confusion about taking Collagen products. Yes, you may take them during the same time period, just at different times of the day so that your body recognizes and uses the different collagen proteins appropriately. It is suggested to take Collagen 1&3 in the morning with Vitamin C and to take Collagen 2 in the evening on an empty stomach. Feel free to call our customer service line if you have further questions at 888-501-3344. At one time hospitals sold human collagen to health and beauty suppliers. Is this product one of those that are provided such collagen? Hi Karen, as specified in this article, the collagen used in the products we sell comes from cows or chicken, depending on the type of collagen. You may also select the links to each collagen product listed here to review the Supplement Facts for more details. Thanks for your interest!